We often see what we want to see, make tricks of light to swear by the presence of something that may very well be a well timed coincidence. Wherever you land on that topic, true believer, skeptic or the pragmatist; one thing is for sure – we love mystery. 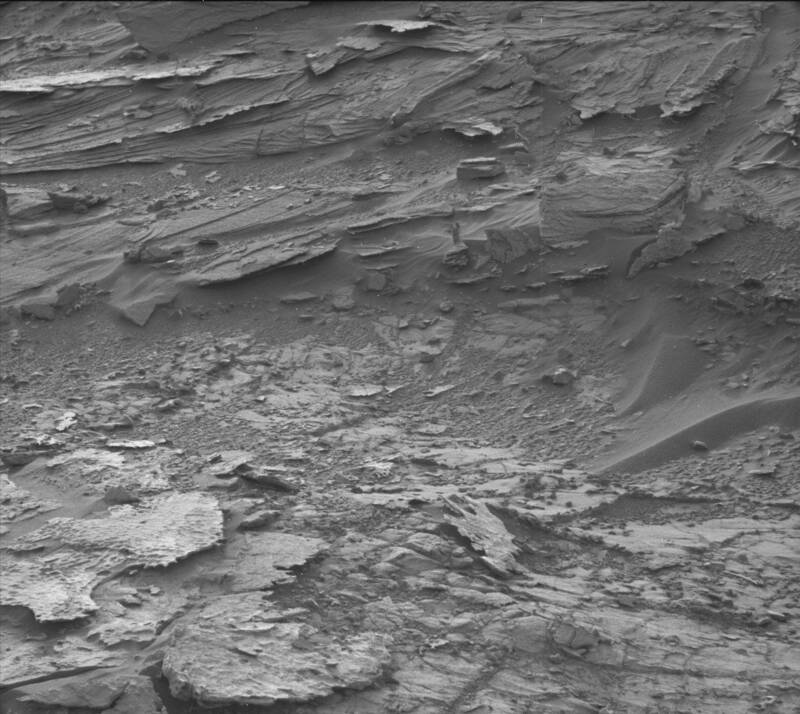 A recent image from the Mars Curiosity Rover (original image) has fanned the flames of imagination once again. Is there woman there, whether in physical form, as a ghost or a statue – or NOT?